They have identified a gene that, if over-produced, can cause some brain cells to stop working properly. The next step, say the US researchers in journal Neuron, is to find the mechanism for the process. This, they say, could ultimately lead to finding a way to "turn down" the gene expression so mental decline might be stopped or even reversed. 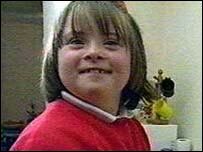 People with Down's syndrome have three copies of chromosome 21, instead of the normal two - this is called trisomy 21. Many people with Down's syndrome go on to develop dementia, similar to early-onset Alzheimer's disease, by the age of 40. In both Down's syndrome and this form of Alzheimer's, brain cells, or neurons, responsible for learning, memory and attention, wither and die. Lead researcher Professor William Mobley, director of the Neuroscience Institute at Stanford University, said: "We've been interested in those neurons and why they get sick for some time." To investigate he looked at mouse models, and discovered that mice with three copies of a gene called the amyloid precursor protein gene, or App, situated on chromosome 21, had larger neurons than mice with two copies of the gene. He believes App is causing cell death by interrupting the signalling between cells that is needed to keep them healthy. He added that although it is known that a mutation in the App gene is responsible for early onset Alzheimer's disease, having three copies of the gene somehow has a detrimental effect on the brain. "There are all of these genes on chromosome 21, and undoubtedly all of them contribute in some way to these changes that you see in people with Down's syndrome. "The challenge is to say can you find specific abnormalities linked to specific genes." The next step, he said, is to find the mechanism for this process, and then to see if there is a way that the gene expression can be "turned down". "If we can decrease the expression of this gene, we may be able to provide something more than supportive care to people with Down's syndrome." Professor Elizabeth Fisher, of the Institute Neurology, UCL, said: "This is a very interesting paper. "This may be some way towards an explanation of why people with Down's syndrome develop the hallmark brain signs of Alzheimer's disease."